Thanks for being a part of Classpro Community. 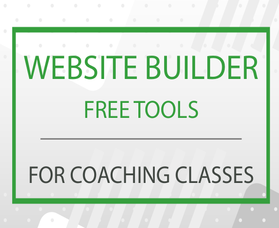 We are excited to inform, that we have added a new ebook Website Builder-Free Tools For Coaching Classes on our Classpro - FREE Resource page. 2. Top 5 Free Website Builders.